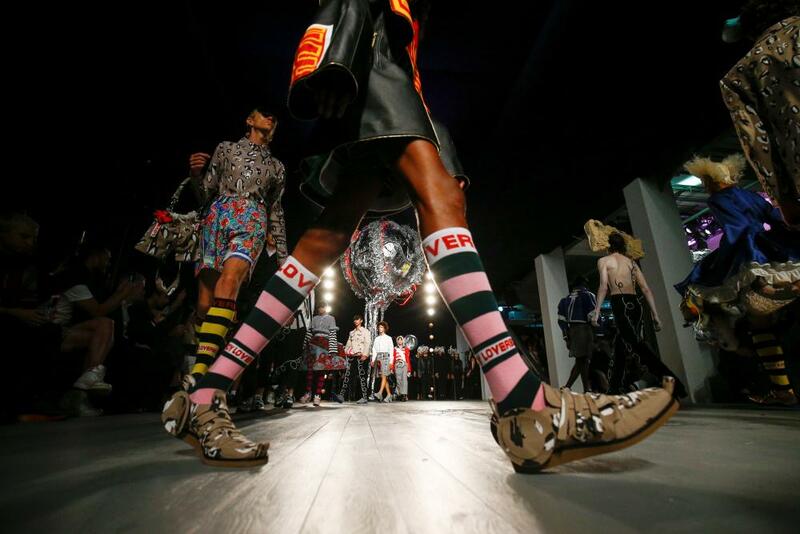 Tuesday marked the final day of shows at London fashion week men’s. And while a dwindling schedule has become apparent, with many designers heading abroad – British menswear’s golden goose, Craig Green, is showing at Pitti in Florence this week instead of London – their absence has also created a vacuum for the next generation of designers to further make their mark. 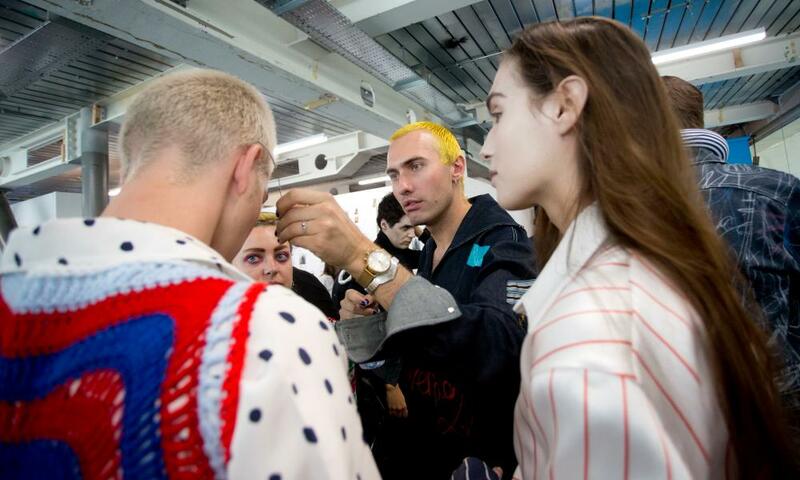 Of the biggest names on the calendar, which include Martine Rose and A-Cold-Wall*, is Charles Jeffrey Loverboy. Jeffrey, 27, is a champion of the genderqueer. 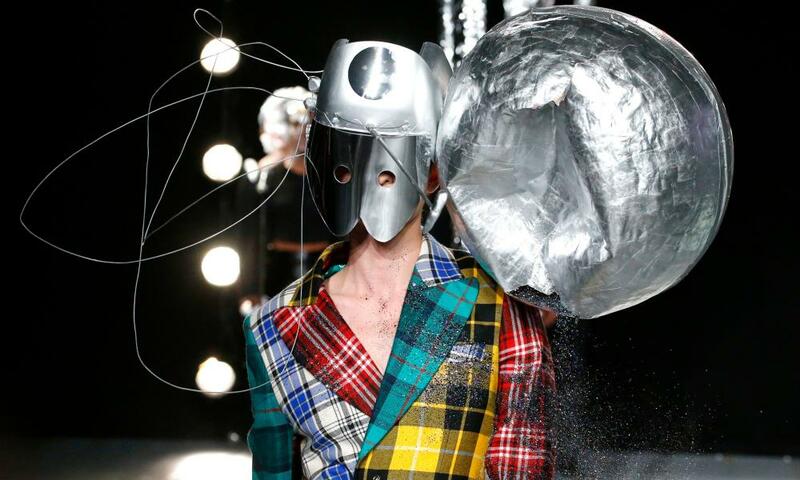 A Scottish-born designer, illustrator and performer, he toys with how men and women should dress with his energetic and avant-garde shows. 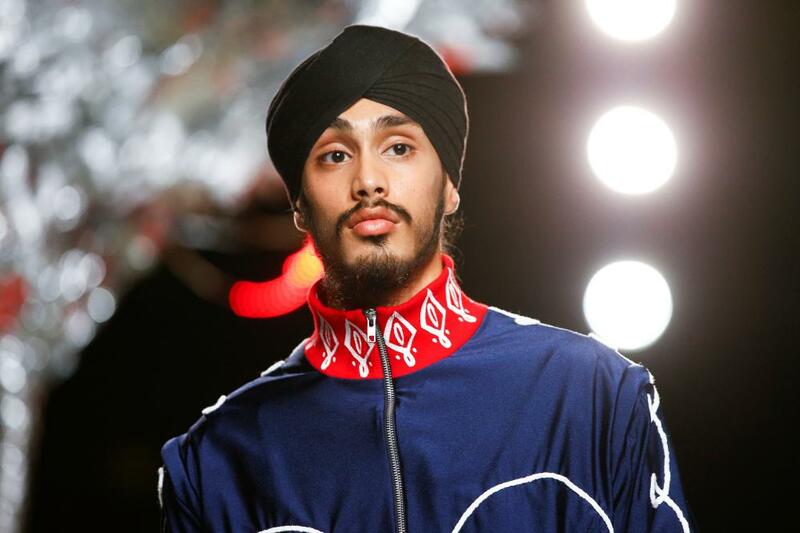 Today, six months after being named emerging menswear designer of the year at the Fashion Awards, he showed his spring 2019 collection in the British Fashion Council show space. Outside, the hype – which became a minor scrum – was palpable. 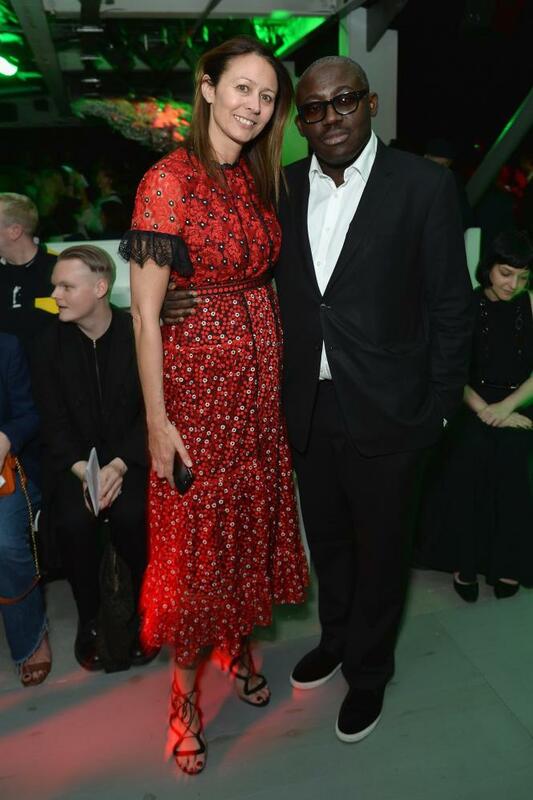 In attendance for the first time was Edward Enninful, the editor of British Vogue, who came backstage to hug and greet the designer. 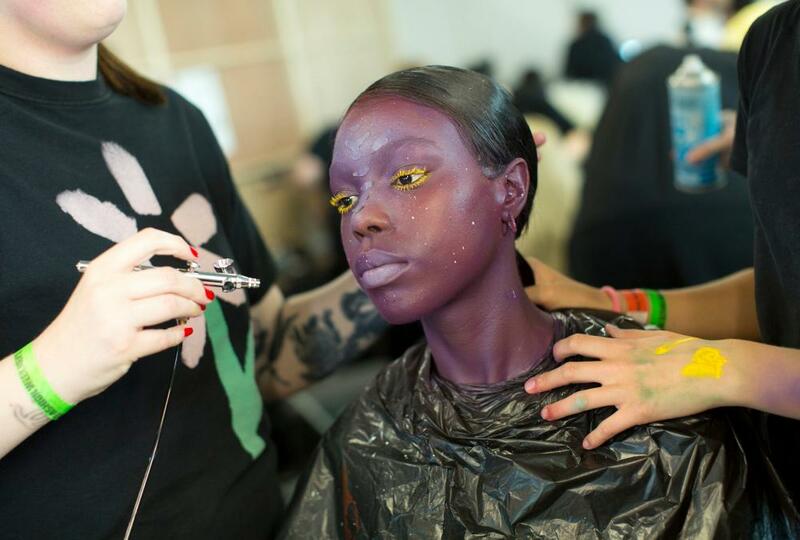 In another first, the designer wore no makeup, suggesting change was afoot. The show was themed “Emergence” and, as ever, the Loverboy narrative was strong and deeply personal. If the January show was, in his words, about “growing pains” and being “bullied when you’re young, for being gay”, then this show was more buoyant, and about moving forward. “This is the first time I’ve been looking after myself” he said backstage. “I’ve started running and it’s been incredibly cathartic for me.” Translated to fashion, this meant another Jeffrey first – sportswear. As the notes explained “athleisure is not traditionally part of Loverboy’s lexicon”. As the lights dimmed, spotlights appeared and a line of choristers in foil hats marched towards a microphone to perform a modern dirge that would soundtrack the show. The first look set the tone: a woman in a fluoro-chartreuse padded jacket cinched at the waist, black trousers with a celestial swoosh, wooden shoes and a 3D printed cap emerged. It was indeed sportswear seen through the eyes of Jeffrey. His inspiration was as varied as it was high-brow. Backstage he mentioned Lynn Chadwick, a sculptor whose bronzework inspired the wide, leather breastplates made by Whitaker Malem. The tailored jackets – in the notes, described as collarless sci-fi – were inspired by Henry Moore’s work. 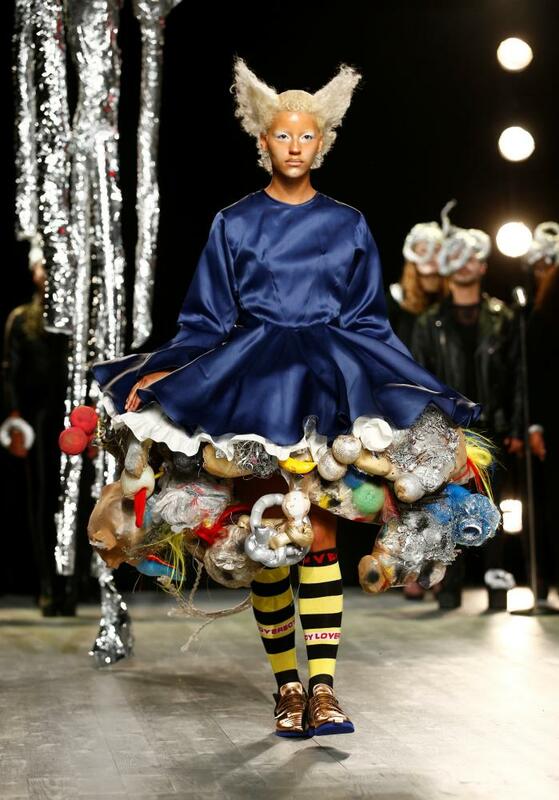 Cluttered petticoats and spider web panniers were designed by long-term collaborator Joshua Beaty as an homage to the Rococo painter Jean-Honoré Fragonard and the sculptor Louise Bourgeois. Elsewhere, the tone was more comic book sci-fi. He recalled Tim Burton’s early Batman films and video games of his Glaswegian youth. Duffel bags appeared, filled with used sportswear parodying joggers running off calories; printed running shorts and tennis dresses; navy silk tracksuits with red trim and knee-high tube socks. With an eye on retail, Jeffrey also produced some well-tailored, wearable pieces: a mixed tartan suit, cropped flared beige trench, silk polka dot short suit, floral trench coat and simple grey two-piece buttonless suit. This micro collection was creative and commercial, a move that makes sense in the current climate. His clothes continue to be made in Tottenham, north London, and Scotland, and he continues to be stocked at Selfridges and Matchesfashion.com. Elsewhere, in true Loverboy spirit, the focus was on bodies – new bodies, changing bodies, queer bodies and post-gender bodies – and our complicated relationship with them. Models of both genders walked, made up in a way that made them almost unidentifiable. Some had waxed faces shaped to look like Klingons or were given subtle facial protuberances. Silhouettes were shaped by oversized jackets, collars rolled 10 times around a model’s neck or extra-long sleeves. “It’s a case of showcasing that chaos in control through sculptural forms,” Jeffrey said of his approach to shape and scale. Performance art is fundamental to the designer’s shows and this season bookended the show. Models negotiated these bodies as they walked, sometimes in pairs, with some wearing masks. Dancers in grey bodycon holding floating foil structures writhed on the catwalk to the choreography of Theo Adams, the performance artist he used last year. In many ways, this was another chapter in that story.